Ask fellow campers about "Lake Reidsville" and nearby attractions. Question: What are the requirements for monthly Rv sites? We have been to Reidsville Lake several times over the last 18 years. It WAS a nice campground until the Reidsville city council decided to cut funding. According to one source at the park they cut the budget by 60% while they decide whether to keep it and give it a good facelift, or sell it. The park itself is nice, wooded, generally good sites, most with full hook-ups, with a boat ramp, docks, and picnic shelters nearby. The roads are dirt/gravel and are not well maintained - creating a washboard effect, but the main roads of the park are paved. The restrooms/showers are "cleaned" daily, but the cleaners don't look over their heads, as the corners and ceiling have large cobwebs and spiders. The electric is 50 amp but, again, they need repair. It took me over three (3) hours to be able to connect to the box, because the breakers were bad and they had to call an electrician. The campground sits on the lake and has a boat dock for campers' boats, as well as two (2) short fishing piers. There is an office, where you check in, which carries soft drinks, ice cream novelties, candy, fishing licenses, and a VERY small selection of canned and boxed foods. The staff is friendly and tries to be helpful but, many times, don't know what they are talking about and have to call the supervisor. On the other hand, they allowed us to use a picnic shelter for our camping club w/o cost, because we were camping. We camped at Lake Reidsville in a Motorhome. Because it is a city park, the funding is at the whim of Council. However, they stay busy during the summer, so call ahead for a reservation. They were full the weekend we were there. Nice quiet park on lake Reidsville. We had a lakeside site which was very nice. Staff was friendly and helpful, park clean and well kept. Only downside is that the sites are not level. The site that we had was a challenge to get level and there are worse ones. Also site just barely long enough for our 37 foot motorhome. Otherwise sites are spacious and campground is easy to maneuver. Would definitely return. Our site did not have a sewer hookup. Verizon voice signal fair, no data signal at this time and no park wi-fi. We camped at Lake Reidsville in a Motorhome. Great spot for fishing or boating. 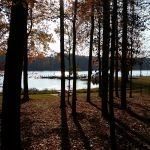 We stayed at Lake Reidsville over Thanksgiving weekend 2016. We stayed in a lakeside site that was incredible. The site was fairly level. We did need every bit of our Camco Tri-Levelers to get to level though. The lake is beautiful. We watched Blue Herons fishing and spotted a couple of deer on Saturday morning. The campsite was quiet and sites were nicely spaced out. There is a burn ban in effect due to the drought so we could not have a fire. Some folks nearby chose to ignore that ban even after at least one warning from the office. Those neighbors were the only downside of the weekend. We will absolutely be back in the spring! 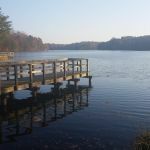 We camped at Lake Reidsville in a Travel Trailer. Hiking, frisbee golf, boating. No swimming though which was ok with us. This is a county park. The office staff is very helpful. We had a hard time trying to get our RV level without the wheels off the ground so we were offered a more level spot. All the spots and interior roads are gravel and the majority of the spots are not level, so bring some leveling blocks. The lake is very pretty and there were a lot of fishermen out. They have areas for basketball, disc golf, volley ball and bike trails. We had no internet or phone service with Verizon. It is a very quiet park and would have rated it higher if the spots were level. We camped at Lake Reidsville in a Motorhome. We made a reservations for a 4 night stay months ahead of the date and we paid for all 4 nights in full at the time of the reservation. We had to make a change in our venue while on the road so we called the park store to cancel our reservations. They require you to cancel your reservations 48 hours before your arrival date so we were well within that 48 hour window. They also require you to come to the store in Reidsville to sign a cancellation / refund request to be approved by two levels of city officials which can take upwards of 2 weeks ( if it gets approved ). They don't do refunds at the store or over the phone. Now, if I was local that would be fine and I would have no problem with that but I'm on the road and not even close to the park for a stopover. This policy seems to be strange in my opinion for transist visitors. The other problem is this is not spelled out on the website or we were not told this on the phone while we made our reservations. It would be nice if they clearly documented this on their website before anyone made reservations. I thought I would share my experience. 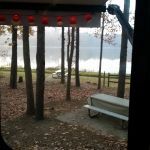 We camped at Lake Reidsville in a Travel Trailer. We got here after the office/store closed. No problem. We just went to the site we were assigned and set up. Next morning, I went to the office and paid for the stay. I had to my iPhone as a hot spot but had ample Internet for the stay. I extended my digital antenna and had great TV. This is a quiet, easy-going place to stay. The lake, squirrels, turtles, and fellow campers all have that in mind. Bring your best leveling devices. We camped at Lake Reidsville in a Motorhome. Nice little town of Madison a half hour away. Stop in at the dry goods store for a nice long chat with the owner. Don't pass up the Bake Me Happy bakery for some delicious treats. We were there to have our floors redone and this is the only place to stay overnight. Lot was so uneven we never got the coach level. Pretty wooded lots on Lake Reidsville. Campgrounds is in the city park. We would only return if we were to have more work done on coach. We camped at Lake Reidsville in a Motorhome. Nice little remote campground for quiet weekday getaway. Sites will take some effort to level, bring yours boards to help your jacks/levelers. Had to change sites due to ground water flooded fresh water connection below grade, creating a sanitation hazard. There were many waterfront sites that couldn't be used due to this condition which will prevail during the rainy months. The floating boat dock in the campground is dangerous as some of the floats are hung up on the support pylons and are not level, therefore, they cannot be walked on and a unsuspecting person could easily slid off. Through out the driving area, there were low branches that will rake your roof and RV side. Trash was noted - left on some campsites. This campground is a gem in the rough. Be careful if you go here. We camped at Lake Reidsville in a Motorhome. We've stayed here many times and never been disappointed. Beautiful views of the lake, friendly staff, reliable power and water. Some long term campers, all near the entrance, sites near water are or with good views are usually available. We find most sites roomy enough, although some leveling effort may be required. We got good cell reception (AT&T). Good restaurants in Reidsville, 20 minutes from Greensboro. Best campground for miles around. 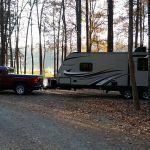 We camped at Lake Reidsville in a Fifth Wheel. This is a great little gem of a CG. I would have given it a 10 if not for the small sites and bathrooms that need renovating. It's one of the only city campgrounds I know of and has some full hook up sites. We met some of the nicest campers ever here and will be back next year! You can not touch the $17 rate! They have a small camp store and the lake is quite large with canoes for rent (not cheap) and great fishing. We camped at Lake Reidsville in a Motorhome. Much better now than it was a few years back. Restrooms were clean and up to par, lake views were wonderful, the only thing I would add as a negative is that the majority of sites are level enough for campers, 5th wheels and popups but really need to be more level for motorhomes. All of the back in sites had a pretty good downhill grade, a little difficult leveling a 30+ foot motorhome even with hydraulic jacks. With the front jacks just touching the ground to level, you had to bring the rear duals off the ground, something you should never do with a drive shaft vehicle. Maybe in the future they will grade the larger sites a little better. Other than that we had a great stay with our group. We camped at Lake Reidsville in a Motorhome. This is a great place, though far enough from the city to have very limited to poor cell phone and air card access (frustrating these days). At my first site the sewer had a problem, and I was allowed to move to a much better site. It is a very nice municipal park w/ith lots of amenities. The price noted is the daily rate. I chose the place based on the price listed on line ($200 a month) but was charged $300 (as explained to me "you must have looked at an old web site".) Still a good price. After a week I'd had enough of the communication difficulty so decided to leave and my charges were changed to the daily rate (balance to be mailed to me (on approval of the city management offices). Would have loved to stay if the signal had been stronger. Still that is the only fault I could find. We camped at Lake Reidsville in a Fifth Wheel. Nice quiet campground with spacious wooded sites that are located close to the lake. The campground is quiet during the week, busier over the weekend as it is used by local campers for fishing. The grounds are frequently patrolled by security. Sites are varied, some long, some short, some 30 amp, some 50 amp, some with sewer, some without. Leveling on some sites may be challenging, and it could be difficult to get satellite TV in most sites. Some small tree branches are growing into the road and need to be trimmed, but it is not really a big issue. We didn't use any facilities. Overall it is excellent value and we would stay here again. We camped at Lake Reidsville in a Motorhome. You do need blocks to get level. The bath house is next door, so I tried it out. They are clean, but the showers are push-button timers with mister shower heads. No way to control the temp so with mist like water on a cold November night it needs to be hotter. The lake is nice and loaded with beaver... don't know about the fish. You can't beat it for a night's stay over for $17.00. I'd stay here again. We camped at Lake Reidsville in a Motorhome. This is an awesome campground for the price. Only a couple of observations that would have increased my score to a 9. There were no grills at the firepits to cook on and there was a noticeable amount of cigarette butts around the campground. Trash was also in the still water by the lake. Very reasonable price on rental of canoe and kayak; $15 for 4 hours. Beautiful lake and staff was very nice. We camped at Lake Reidsville in a Motorhome. Are you affiliated with Lake Reidsville ?